I love Retro Vintage Modern Hi-Fi – “Usually retro, sometimes vintage, sometimes modern, but always hi-fi” – a place for audiophiles, retro futurists, and fans of hi-fi pin-up girls. I’m in on all three counts. Now in its fourth year, this is a blog about valve amplifiers that look like they belong in a mad scientist’s laboratory, speakers far too big for most people’s living rooms, reel-to-reels straight out of a 1960s spy movie, painstakingly oiled and polished walnut and teak cabinets, and audio oddities galore. 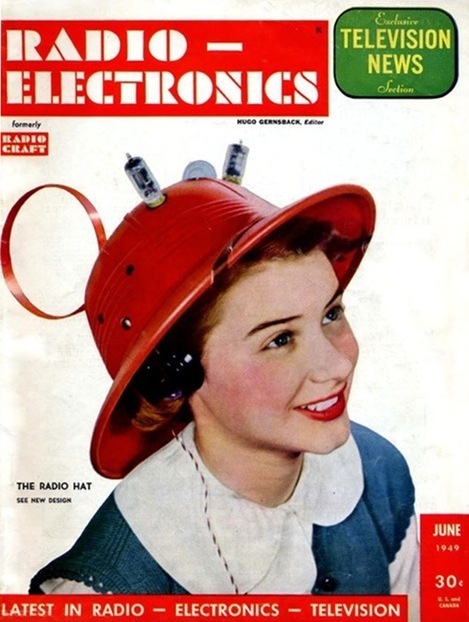 I particularly like the Two-Tube Radio Hat, which is pictured here on the cover of the June 1949 edition of Radio Electronics. “Totally mobile, no extra aerial needed, covers the entire broadcast band within a 20-mile radius,” trumpets an advert for the hat inside the magazine. “Acclaimed from coast to coast,” it adds. 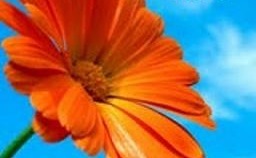 Yes, I don’t doubt it for a moment.